"Zombies, Skeletons, and Vampires, OH MY!" 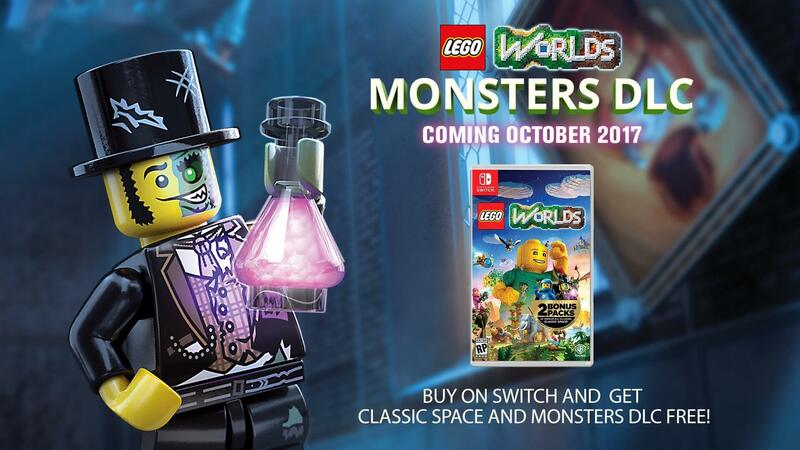 Since LEGO Worlds first arrived on consoles in March of this year many mini DLC's have been added to the game. These are DLC's such as Survivor or the Classic Space Pack. Third up we have the brand new Monsters DLC. Which to no surprise will drop in October of this year. "Monsters DLC will bring monster town which is a peculiar place full of scary quests, terrifying creatures, haunted houses and ghastly vehicles sure to send chills down players’ spines." Unfortunately zombies are a concern even in the LEGO world and it'll be players' jobs to banish them from the town with their building expertise. Sounding like Minicraft a little imo. Traveller's Tales will be spooking the yellow heads off of us in October 2017.